His father lived in the United States for a few years, but ultimately decided to go back to Europe. There was an article in the NYT, describing his visit. If I remember correctly it said that is motorcade consisted of over 300 automobiles. 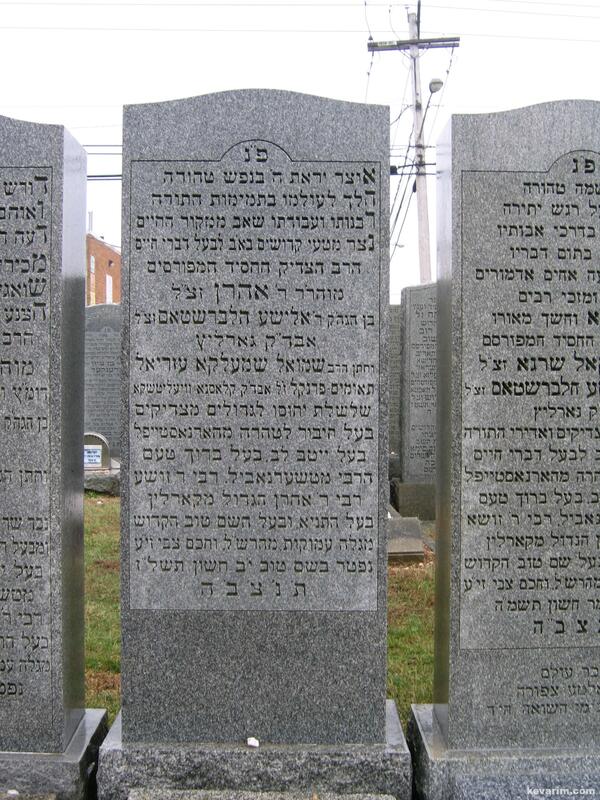 Was R’ Ahron or his Brother R’ Cheskel Rebbes ? I found the article through Google (in the NYT archives) it uis from August 2, 1922 and mentiones that 100 automobiles escorted the rabbi to the Gemilath Chesed synaggogue on Cannon St.
How many of the seven sons mentioned on R’ Yechezkel Shrage’s tumbstone, lived here in the US post war? R’ Ahron Halberstam was a brother of R’ Yehaskel Halberstam, they were five brothers and they were all called Gorlitzer Rebbe.. 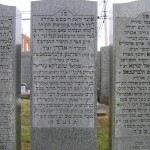 They were “seven” brothers Rebbes. I remember R’ Ahron a bit. He was quite bright and had an acerbic sense of humor. Very witty. It will be my pleasure to help with the Halberstam line .